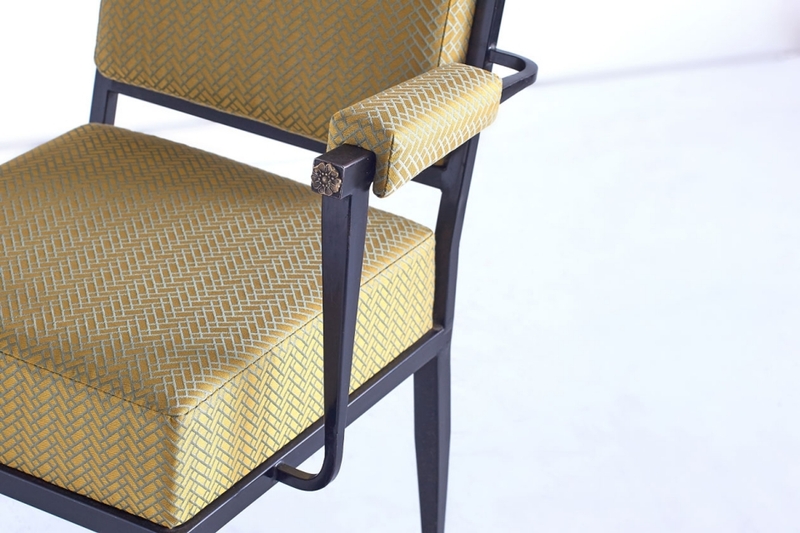 This elegant André Arbus armchair has been newly upholstered in a Yuzu colored Hermès Chevronné fabric. 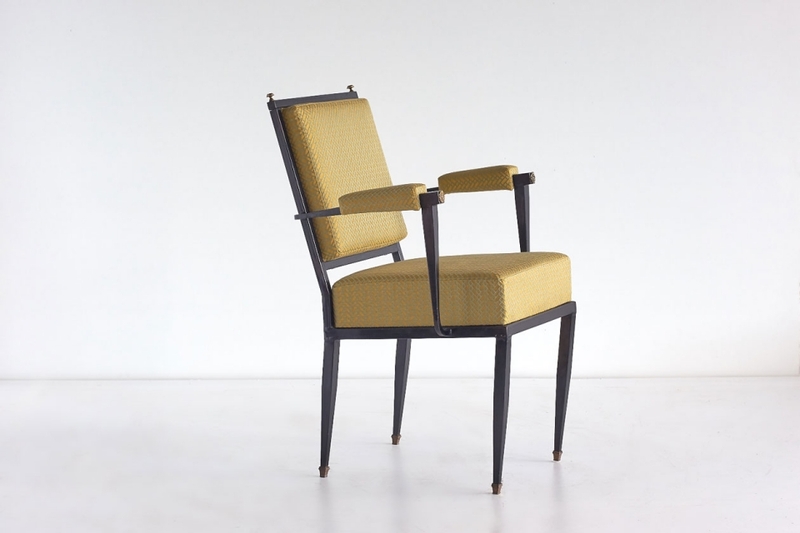 The design of the original metal frame is characterized by the slightly inclined back, tapered legs and padded armrests. The frame is complimented by refined brass details such as the floral embellishments and feet. 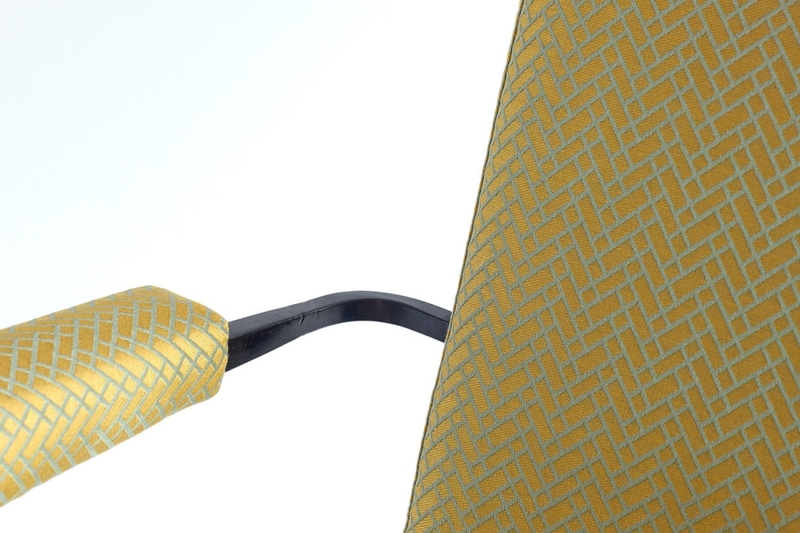 The chevron pattern of the jacquard fabric offers a fine contrast. A striking and sumptouous example of French Art Deco. Condition: Excellent. 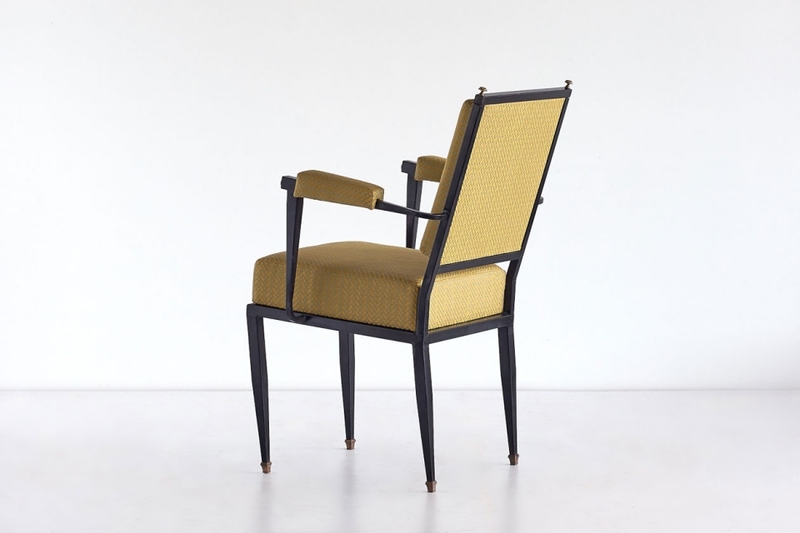 The chair has been reconditioned and newly upholstered in a Hermès Chevronné fabric. The metal frame is in a nicely patinated condition consistent with age and use.